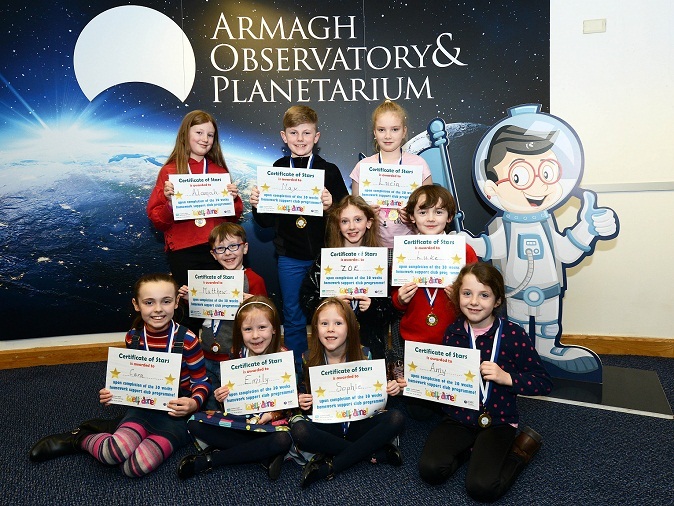 Children of deaf adults have come together at the Armagh Planetarium to celebrate their achievement of completing a 30 week Homework Support Club programme. Known as CODAS to the deaf community, this special group of Primary School age children have parents who are deaf and whose first language is a signed language. This means that they can struggle to help their children with homework such as maths and particularly English where there is a heavy emphasis on phonics – the sounding of letters to formulate words and sentences. Many CODAS’ first exposure to language is a signed language of which there are two in Northern Ireland – BSL and ISL – and which are the first or preferred means of communication for people who are profoundly deaf and are used by a significant number of their families and friends. The Department for Communities which has the policy remit of promoting British Sign Language (BSL) and Irish Sign Language (ISL) funds the programme which is managed by the Southern Health and Social Care Trust’s (SHSCT) Sensory Disability Team. One of the star achievers, Cara McCartan, regularly interprets for her deaf parents Sandra and Hugh. Sandra said, “This project has really helped my family. I am deaf and my first language is BSL not English. “I am not good at English, Maths and other subjects because of the language so I could not help Cara. This homework support has given her the same opportunities as other families who are hearing,” she added. CODAS can become interpreters and intermediaries for their Deaf parents to help them overcome the language barriers they encounter daily. 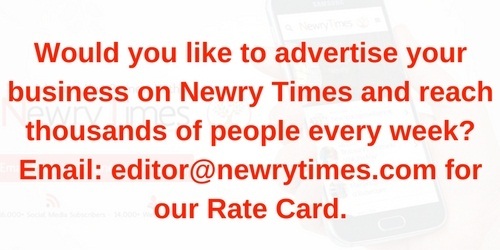 This can be both a difficult and a rewarding situation. Maeve Walls, Director of Culture, Department for Communities, said, “A lot of planning, dedication and hard work has gone in to the preparation and delivery of the Homework Support Club. “It is a great example of partnership working between the Department and the Southern Trust and delivers the practical support for their children that the Deaf parents present today have asked for.